After Warner Bros. announced in April that this has bought the rights to bring the wildly popular video game Five Nights at Freddy’s to the big screen, fans have diligently sounded off on what direction they want the film version to take. This is mainly because Hollywood has not had the best track record in adapting video games and produced fairly lackluster versions of the hit franchises like Doom, Wing Commander and BloodRayne. Fans are even divided over their reception of Milla Jovovich starrer Resident Evil, which is expected to come out with one last film in 2016. In order to ensure that their beloved video game will not go the way of its predecessors, YouTube production companies Typhoon Cinema and Deviant Picture Films have released a clip that could serve as the pattern for Hollywood’s movie version of the game, reported Bloody Disgusting. 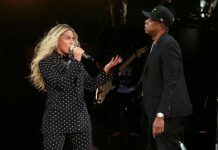 The video, which was uploaded last May 6, received mainly positive comments from the fans who wished that Warner Bros. would take the cue from the makeshift trailer when it starts developing the actual movie. Meanwhile, fans are speculating what part of the story the movie will focus its plot on. In an article posted on designandtrend, five theories were floated about the film’s direction. The first theory is that the film could totally reinvent the entire story to minimize the fans’ debate on the Purple Guy, the Phone Guy or Golden Freddy which games explored in its first three chapters. 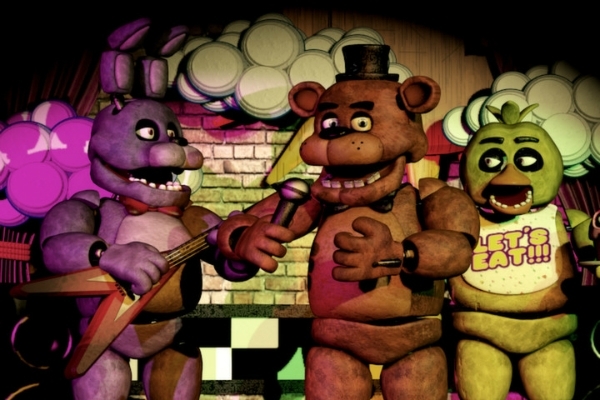 The second theory had fans speculating if series creator Scott Cawthon and Warner Bros. would create the backstories that would explain why the Purple Guy killed a child outside Fredbear’s Family Diner which spawned all the succeeding events in the game. The third possibility is a continuation of the story from the events of Five Nights at Freddy’s 3. Fans also theorized that the movie could organize the timeline of the Purple Guy to come up with a full story to answer questions fans have about the guy that gamers only encounter through flashbacks. Finally, fans suggested an animatronic point of view wherein viewers will be treated to a different perspective from the games. Instead of watching from an employee’s point of view, fans may get a kick out of watching the events transpire through the eyes of Freddy and his pals. With a fanbase as avid as FNAF’s, the studio may have its work cut for it after all.